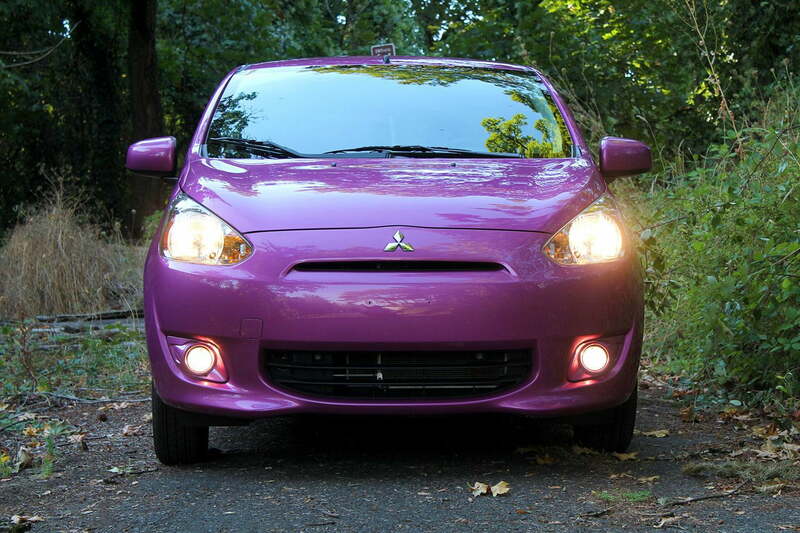 The Mitsubishi Mirage may be cheap, but sadly it isn’t cheap enough to outrun its numerous flaws, or to live up to the competition. 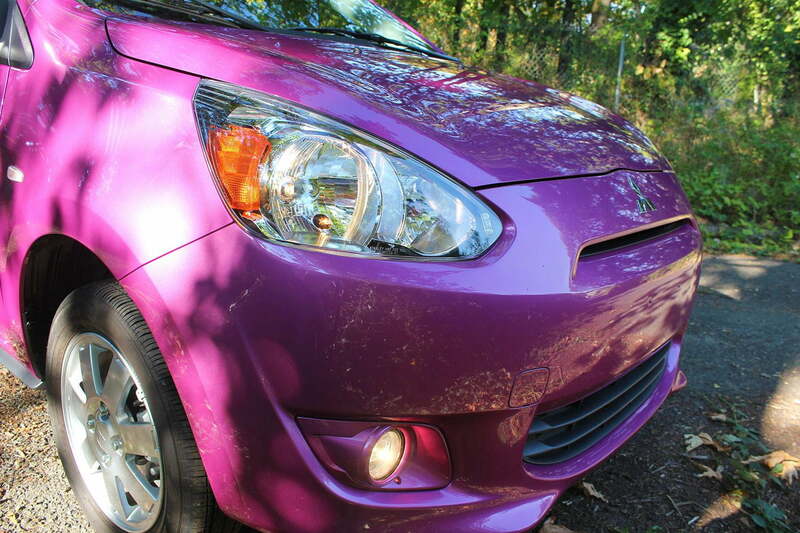 Few cars have caused me as much confusion as the Mitsubishi Mirage. Designed with markets like India in mind, and built in Thailand, the tiny economy car is almost entirely unlike anything else in American showrooms today. The Mirage is cheap both in price and quality in way that simply hasn’t been seen on our fair shores in something like a decade. In a way, it is admirable. However, in other more important ways it is shockingly bad. I like to think I am a nice guy, so I am actually going to start with the good stuff. Surprisingly, considering the vitriol surrounding the Mirage, it does actually have a few positive qualities. For starters, there is the price. A base Mirage costs just $12,995. Buyers can get a whole car for that! On a Porsche, $13,000 barely gets a buyer leather and carbon ceramic brakes. The ride is surprisingly good, whether the driver finds themselves on the highway or rough back roads. For that same amount of money, Mirage buyers don’t get leather and carbon ceramic brakes, but they get some other some stuff. Specifically, a fully spec’d Mirage ES comes with Bluetooth, keyless go, climate control, and even satellite navigation. Though, that does bring the price all the way up to nearly $17,000. Even if the recession still has the buyer’s bank account by the short hairs, there are some positives to be found. The ride is surprisingly good, whether the driver finds themselves on the highway or rough back roads. This may be down to the long suspension travel afforded by the fun-sized wheels. Regardless, it is a damn sight better than the ride of lots of other low priced cars. The last notable good feature is the size of the cabin, which is big enough to house four actual human beings, even if the rear-seat passengers may have to sacrifice some feeling in their legs. Unfortunately, the good features come to a screeching halt here. The ride may be good, but the Mirage wants to kill tall people. After my first jaunt in the little Mitsubishi, I found to my surprise that my right leg hurt very badly. My press demonstrator Mirage had a constantly variable transmission (CVT) automatic, so there wasn’t even a clutch pedal to blame. I eventually traced the problem to the seats, which are tiny. For my six-foot-three-inch frame, this meant that the bottom of the seat only extended about half way along my thigh. In turn, this forced my knee into an extremely awkward position. Adjusting the seat helped a little, but without some sort of aftermarket cushion I think the end result of a long journey in the Mirage would be an amputated leg. While the doctor was at it, he might have to fit me with hearing aids, too; the Mirage is really, really noisy. 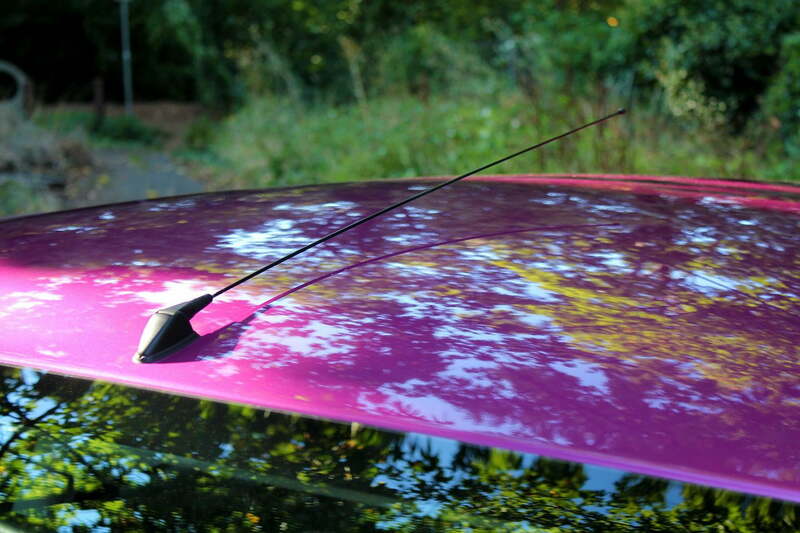 Wind noise, road noise, creaking, transmission buzz, exhaust noise … the Mirage has it all. The engine noise is particularly insufferable. Mitsubishi has hobbled the Mirage with a 1.3-liter three-cylinder engine that sounds like it is powered by poorly lubricated metal bees. The drone is amusing at first but rapidly becomes a throbbing knife to the temple. Unfortunately, this drone is not accompanied by the kind of fuel economy I felt I had the right to expect from the Mirage. In theory, it is capable of a fairly impressive 37/44 mpg split. In practice, I experienced mileage below 30 mpg. This is thanks to the fact that the bees that power the Mirage are very lazy. The Mirage’s 1.3-liter engine makes 77 horsepower, but lest anyone get too excited it feels like less. This is thanks to the car’s continuously variable transmission, which delivers power with all of the crispness of some week-old spinach. The Mirage was not designed for this market, and simply can’t compete. Slam on the throttle, and, not only does the car not actually accelerate, the engine doesn’t even start to rev immediately. With a bit of patience, the Mirage meanders up to about 6,000 rpm where the engine’s few torques live and the car does start to move. Unfortunately, this kind of driving simply murders the fuel economy. 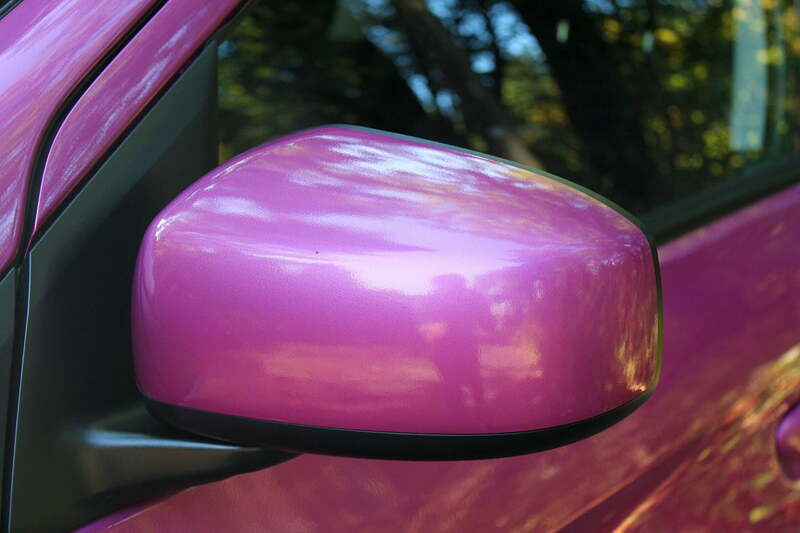 I ran into this problem a lot, as I frequently tried to accelerate away from the people literally pointing and laughing at me as I cruised around in the cotton-candy pink Mirage. It also does not make for fun lane changes with an 18-wheeler bearing down on the driver … especially after watching this video. 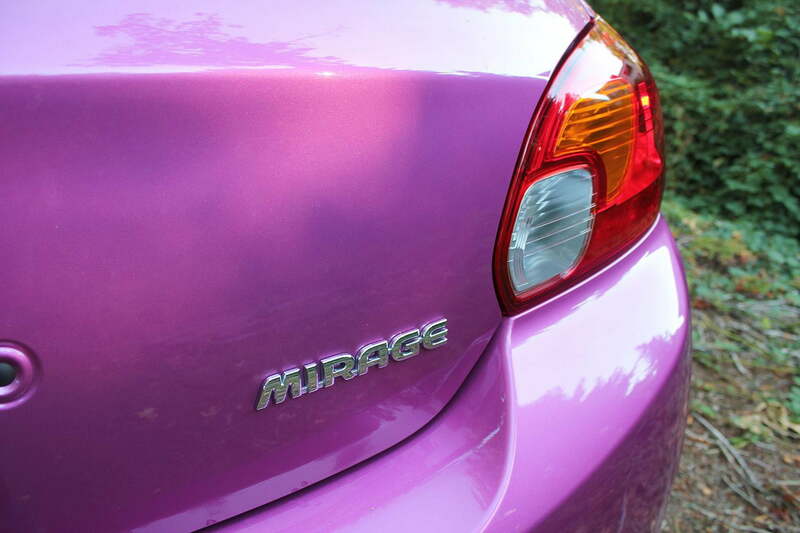 The Mirage has yet to be safety tested by the National Highway Traffic Safety Administration (NHTSA). However, in the testing by the Insurance Institute for Highway Safety (IIHS), it gathered the worst possible rating in the small overlap crash test. After seeing the footage and inspecting the car, it’s not hard to see why. To Mitsubishi’s credit, the Mirage at least did well in all of the other tests. But it’s the safety that really highlights the problem with this car. In the abstract, the Mirage is not a bad option. It is eye-wateringly cheap and basic transportation, which if purchased in a standard color wouldn’t be too hard to live with. The problem is that, in context, there is no clear reason to buy the Mitsubishi. Buyers may save some money over the alternatives, but not as much as they might expect. Bare bones Volkswagen Golf starts at just $17,995 – a mere thousand dollars more than the Mirage ES I was testing. It aces the safety tests, and is dynamically on a different planet than the Mirage. Likewise, the new Honda Fit can be had for only $15,525, barely more than the base Mirage, and it is in all respects a far better product. With the Toyota Yaris, Ford Fiesta, Kia Rio, Kia Soul, and Kia Forte also in the mix, there is simply no reason to consider the Mitsubishi. That should come as no surprise when considering where we started. The Mirage was not designed for this market, and simply can’t compete.